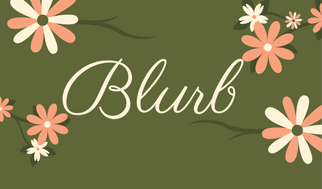 It's almost the first day of spring, and with that comes a new book release! I've been holding onto this one for a very long time and I'm so happy to finally be able to release this for you all to enjoy! Why did I hold onto it for so long? Timing, it's everything, right? I originally wrote this as a writing prompt for a publisher. When that didn't pan out, I set it to the side when my life got busy. Now, I've taken some time to make it what I wanted it to be (versus what the publisher had laid out for requirements). The idea for this story came from a real life event, but of course everything else is fictitious. I could go on and on about this book and how much I love Spring and Vince, but I'll let the review below speak for itself. It does a fantastic job of telling you about this story! Spring and Vince release on March 20, 2018, but it's available for preorder on Amazon! 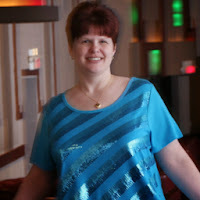 (Will be part of Kindle Unlimited) Read on for more! Will Vince’s deep spiritual connection to Spring, and her fighting spirit, be enough to bring her back from the brink of death? Spring Lewis knows death. As a nurse in the ICU, she has experienced more than her share of it at only twenty-seven. She's also acutely aware not everyone who dies stays in the afterlife. She convinces herself she's still single because no man can deal with what her job requires of her, but her heart knows the truth. She’s scared of losing another person she loves. Vince Roundtree has devoted his life to one thing, music. As the tuba professor at the University of Hedgeford, he spends his day shaping the lives of young people and his nights questioning every aspect of his personal life. He struggles to find his identity as an over thirty-five-year-old male in a dating world meant for twenty-five-year-olds, and it hasn’t been easy. One early spring evening, in a darkened Hedgeford park, Spring and Vince's paths intersect, jarring them both out of their boring lives and offering them a future together, if they can put aside past hurts. 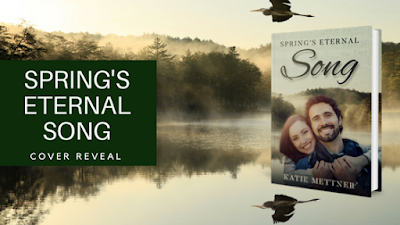 As their budding romance grows, Spring stumbles across the truth about a secret someone in Hedgeford, Wisconsin has been harboring. He’s good at silencing people, and he will do it again to keep from being exposed. 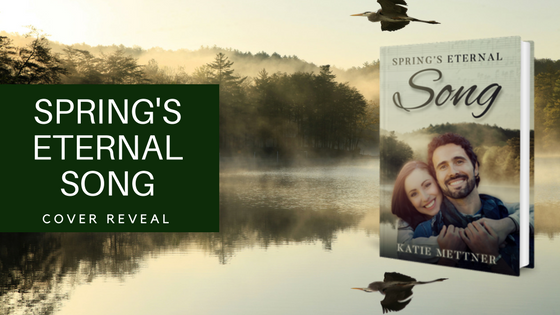 A mother’s anguish, and eight determined souls, will convince Spring to reveal a cover-up too hot to handle. It will be up to Vince to save her from certain death, but only if he can find her before time runs out. He shook my hand again, making sure not to squeeze too tight. I could tell by the way my hand slid around in his, as though it was no bigger than a child’s, he was used to being careful when shaking hands. It was clear I dwarfed him in every physical way possible, but his personality loomed large. He wasn’t timid or afraid to strike up a conversation. That’s rare these days. 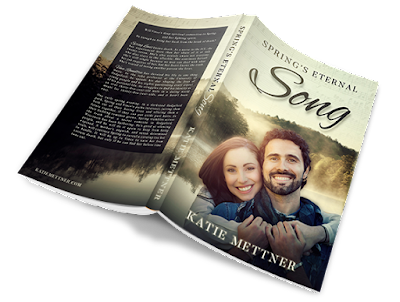 Katie Mettner's Spring's Eternal Song offers readers a little bit of everything. This book is impressive in terms of the range of issues and themes it explores, doing so with grace and realism. Spring is a lonely nurse who pours every ounce of herself into her work. She's lonely because she shuts people out--with good reason. She has a secret that has damaged important, core relationships in her life and that makes her afraid to let people in, but when she meets Vince walking home from work one evening, slowly things begin to change. I don't want to give too much away but Spring and Vince begin to fall in love and although he's very accepting of her secret abilities, those abilities put Spring's life in danger. Like I said, this book has everything: romance, mystery, thrills, family drama, and a touch of the supernatural that is so well done it fits perfectly into the narrative and carries it right along. I love that, as always, Mettner's treatment of the romance between the main characters is very realistic. 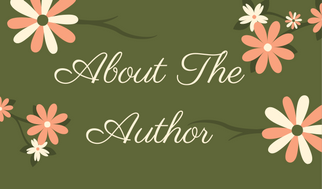 She brings together two people who have struggled with real-world issues, particularly family dynamics. Neither is perfect and neither has traveled a drama-free path, but they connect to one another and are willing to fight to maintain that connection. They also try hard to bring out the best in one another even when it proves difficult. 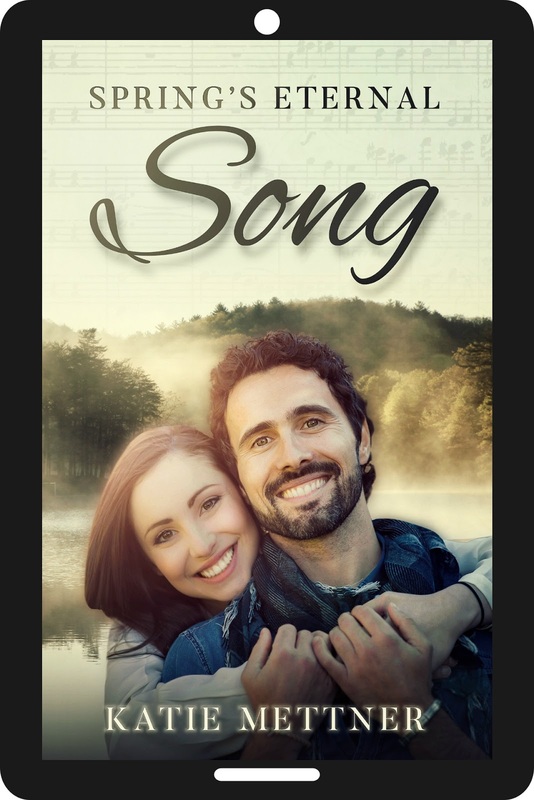 This is the kind of romance novel where, when I've finished it, I think, "Those two characters actually will spend the rest of their lives together." There is a lasting, genuine quality about the relationships that Mettner brings to life in her work. That said, Mettner injects a great deal of mystery and intrigue into this poignant, beautiful romance between these two very relatable characters, making this book a bonafide page-turner. You know the book is good when you have to put your entire life on hold to finish it! Through her abilities, Spring becomes aware of a series of accidents that she begins to suspect are crimes. She works on her own to solve the mystery of what happened and the result is bone-chilling and riveting. What I love most about this novel though is the way Mettner seamlessly weaves the romance and suspense together to keep you frantically turning pages well into the night--evoking a wide variety of visceral responses with her authentic characters and her elegant writing. Preorder Spring's Eternal Song on Amazon!